I know its not Disney news but with Knotts Berry Farm so close to the Disneyland Resort in Anaheim and the fact that they have one of the best Halloween haunts around, I thought I’d throw this up. 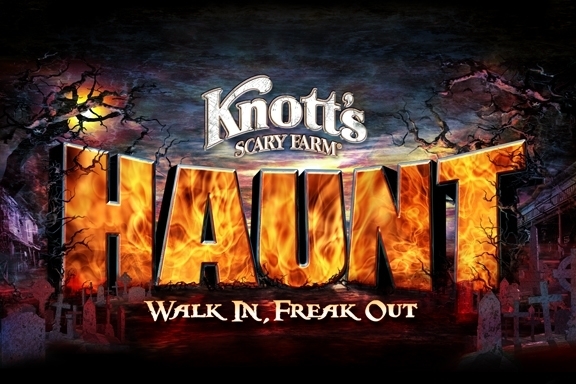 Knotts Berry Farm, also known as “Knotts Scary Farm” around Halloween, will have three new haunted mazes during their 38th annual Halloween Haunt. The goulish festivities will take place on Wednesday through Sunday nights from Sept. 24 through Oct. 31 (except for Sept. 29). One of the best things about the Haunt is the haunted areas of the park where you never know what is going to pop out at you. Referred to as “scare zones, the haunted areas include The Necropolis, with Victorian Steampunk vampires haunting a city of the dead (replaces The Gauntlet scare zone in Camp Snoopy), Carnevil (in the Boardwalk area), and Ghost Town (in the Wild West area). Also returning for 2010 is the ever popular “The Hanging” pop-culture comedy revue plus several other eerie and entertaining shows. Seeing that I haven’t been to a “Haunt” for a few years and also the fact that there are two new coasters at Knotts I have yet to ride, I may very well make plans to attend this year. If you want to go to the best of the best in Halloween attractions, then make plans to attend the 38th Annual Halloween Haunt at Knotts Berry Farm.